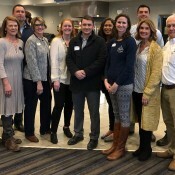 Our second Business Connections networking event was held on April 16, 2019 hosted by Ott Farms and Vineyard. A wonderful evening was had by all who attended “Christmas Connections” on December 4th at the Gilmer Chamber. 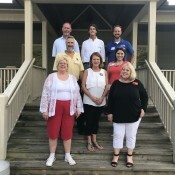 On Thursday, August 23rd the Gilmer Chamber hosted our third Business Connections for the year at Whitepath Golf Club. We heard from Manager, Mike Brumby about the great shape the course is in along with plans for future improvements. 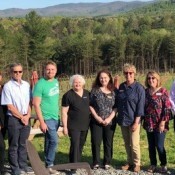 On Tuesday, April 17 the Gilmer Chamber hosted our second Business Connections for the year at R&A Orchards. It was a beautiful afternoon to be in apple country. Guests enjoyed networking and several went on a tractor ride to tour the orchard. 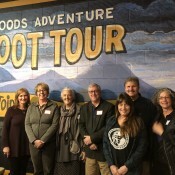 On February 13, 2018 the Gilmer Chamber hosted the first Business Connections of the year at Expedition: BIGFOOT. We had a wonderful turn out and the food and networking were fantastic.